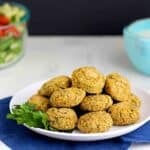 These baked falafel are everything you could want them to be: flavorful, crisp on the outside, creamy on the inside, and healthier since they’re baked and not fried! I’ve long been an admirer of Greek/Mediterranean food. 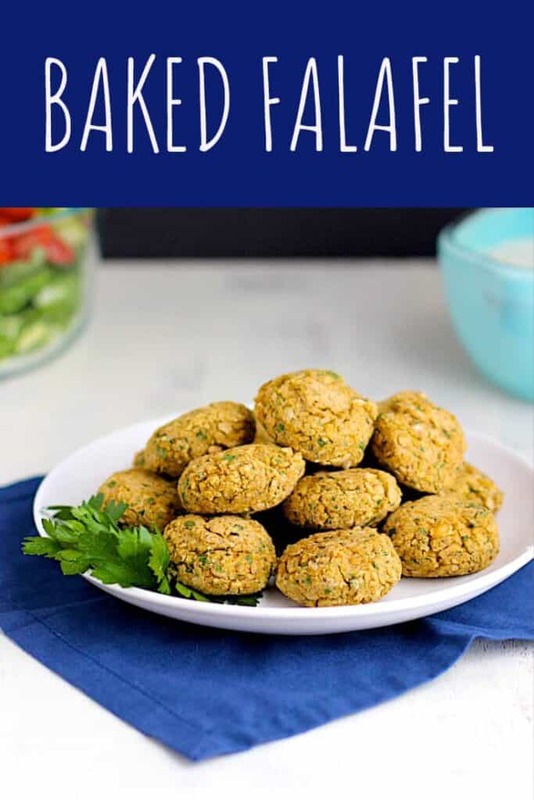 But after grabbing lunch at a Mediterranean place while at a conference last week, I got to thinking: Making falafel can’t be that hard, right? Turns out, not hard at all. 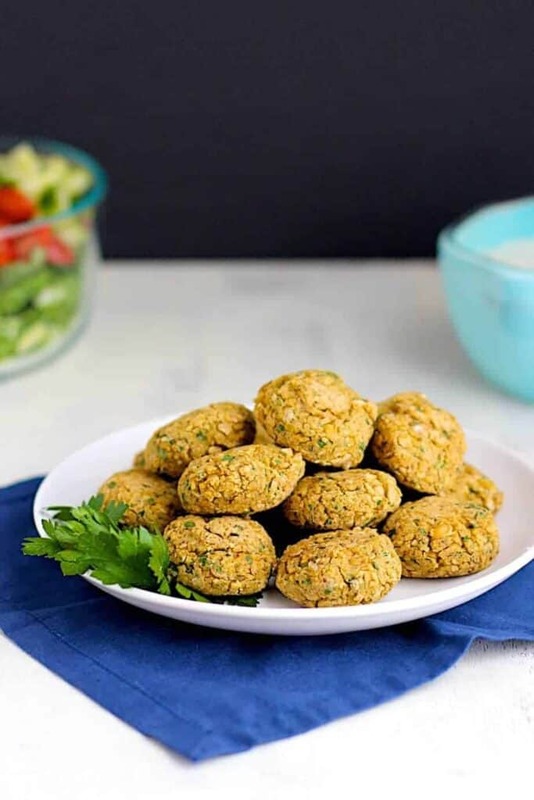 The food processor does 90% of the work for you, and then the rest is just scooping and shaping the dough/batter/whatever into patties and sliding them into the oven. 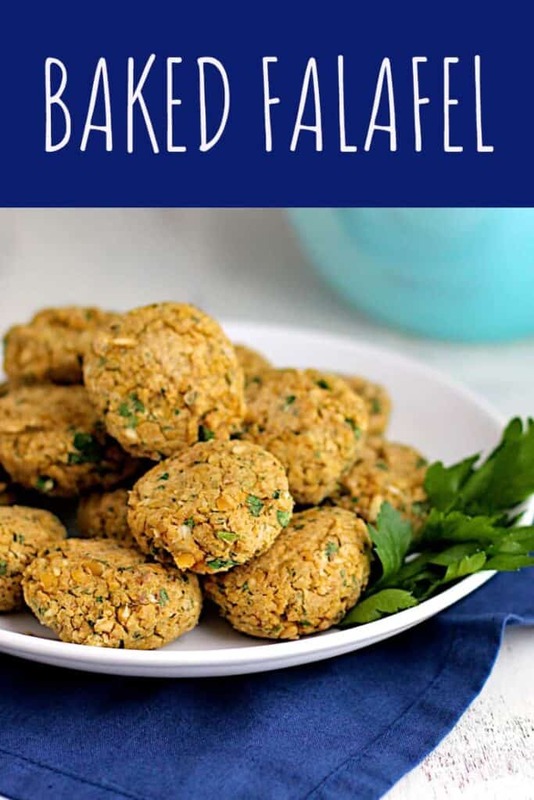 Plus – these falafel are much better for you since they’re baked and not deep fried, without sacrificing any flavor. 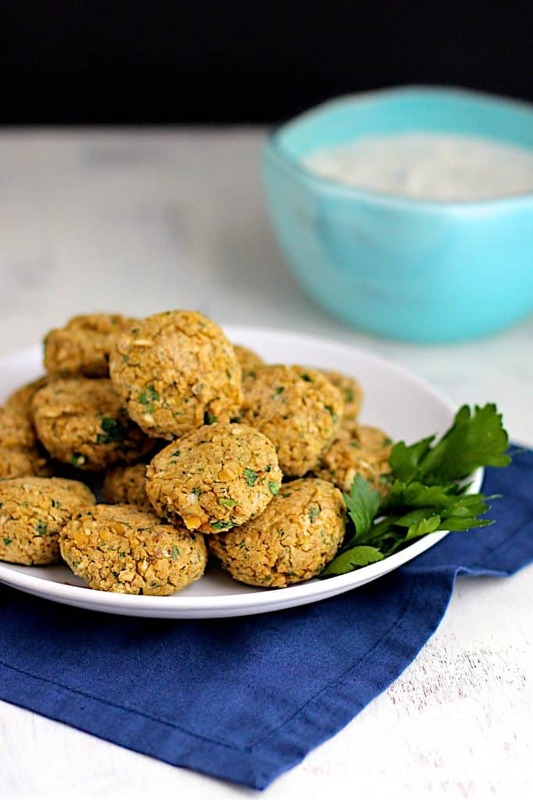 I like to eat these falafel on top of my Greek Power Bowl with homemade tzatziki sauce. This recipe comes from the blog Willow Bird Baking. Combine all ingredients in the bowl of a food processor. Pulse until well combined, but not completely pulverized and smooth. Scrape down the sides of the bowl as needed. 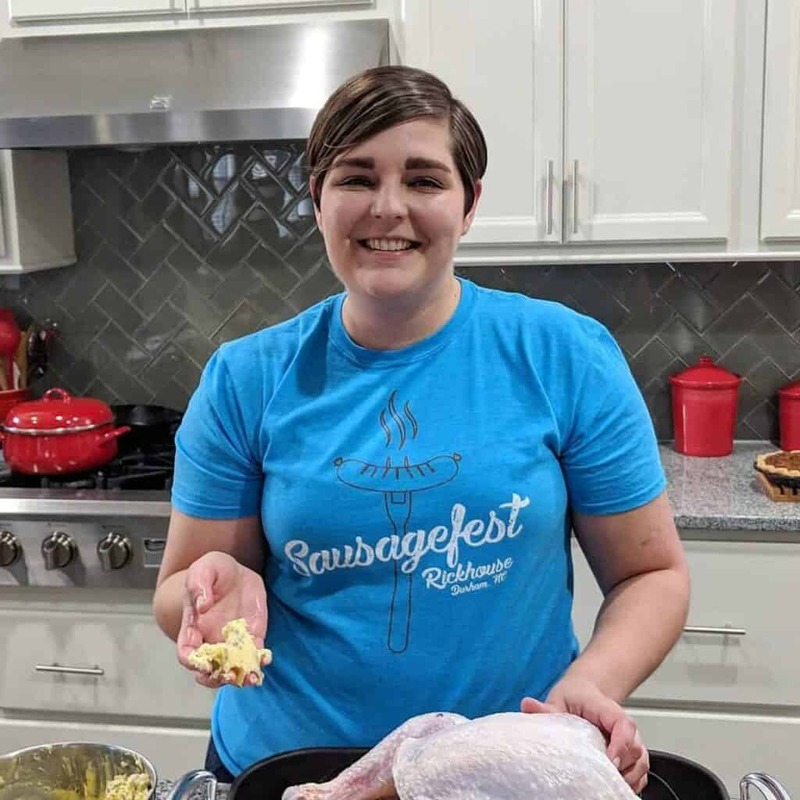 Using your hands, form into patties that are approximately 1 1/2 inches in diameter and 1 inch thick. A cookie scoop can help you with portioning. Bake for 20 minutes, flipping the patties over halfway through. I hear you, girl! I’m eating mine on top of a loaded Greek salad (coming later this week or next!) right now.